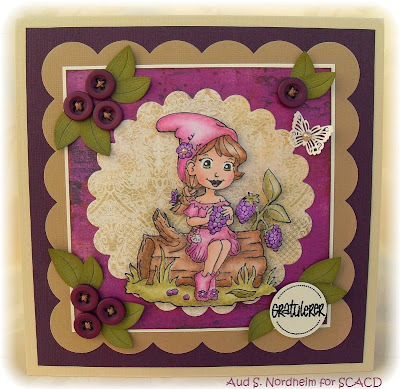 * Mitt lille hjørne * My Little Corner *: Aurora visits Cute Card Thursday! 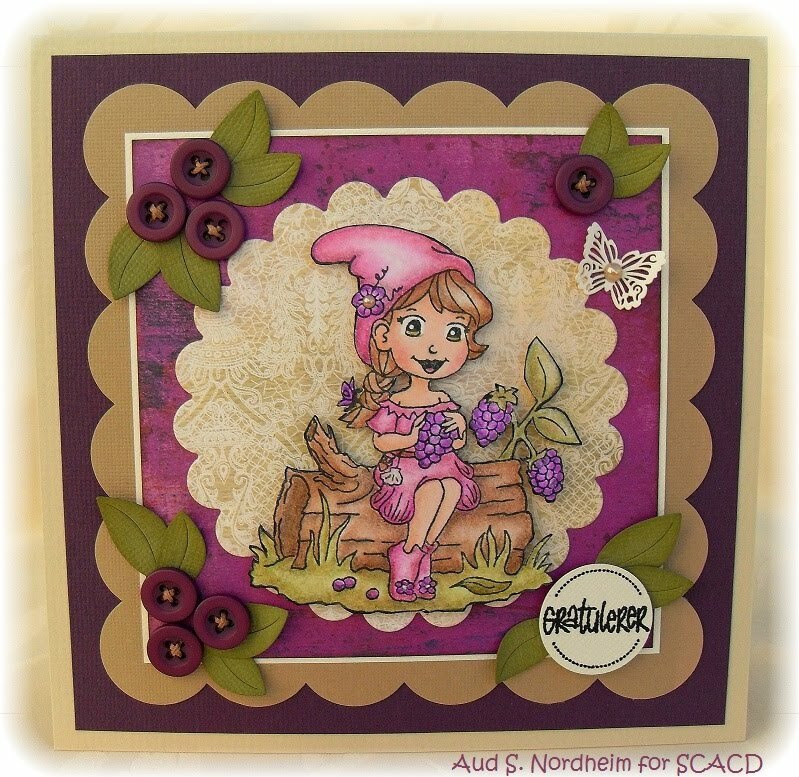 I used the sweet Aurora - Berry Nice image by SCACD, papers from BasicGrey pads. I colored with my prismacolor pencils as usual. The sentiment is in Norwegian and says Congratulations. More New items come is all the time so check back including new Ranger, Prima, Petaloo, Maya Road, Viva and more!!! 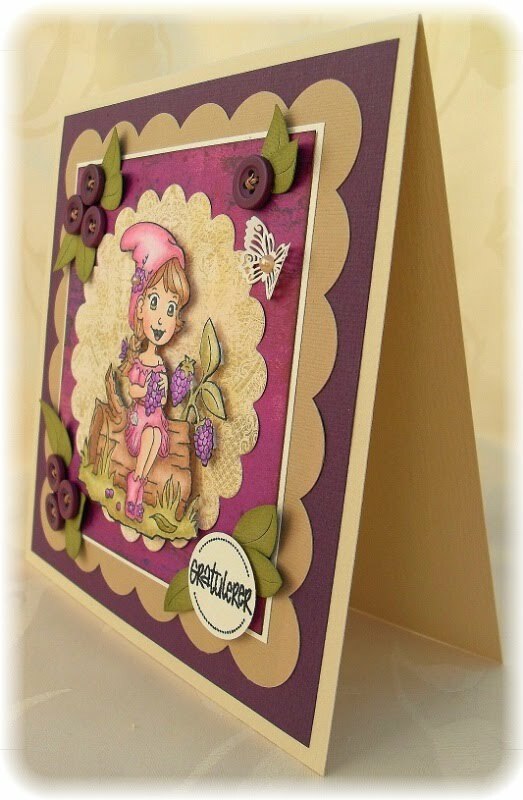 What a beautiful card you have made Aud, the papers are gorgeous and she is coloured beautifully! 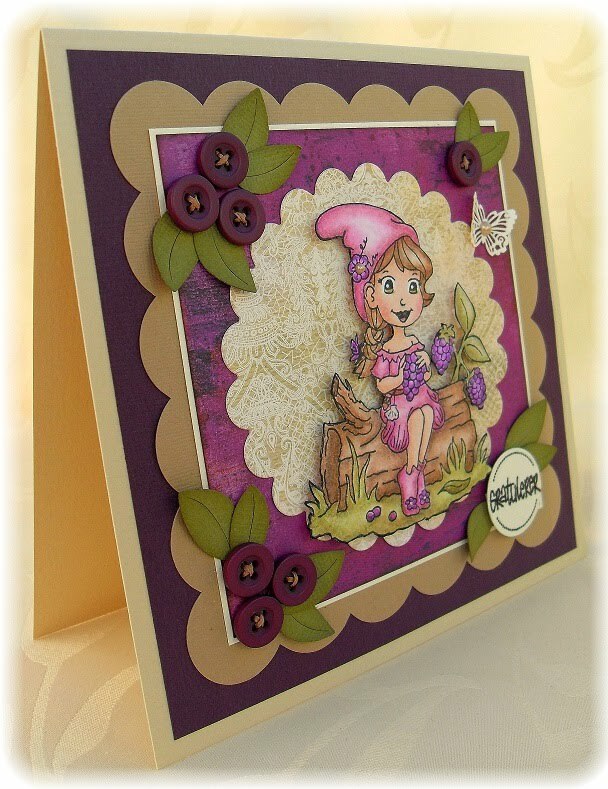 I like your card also very much, nice colours and colouring and love the buttons such a sweet image. Dette kortet gikk rett i hjertet på meg. Utrolig søtt. Oh Aud wonderful card and adorable image. What a lovely card! She is so sweet. Love the colors and those buttons are adorable. Beautiful card Aud! I love the color combination! Thank you for joining us at CCT! such a cutie and I love the plum purple colour and scattering of leaves. thanks for joining us at CCT this week.